The next step now is knowing how to choose the right guitar for you. Don’t panic—it’s understandable if you know next to nothing about the instrument and you’re worried about getting the wrong kind. That’s what we’re here for! This guide is your ultimate partner in getting your hands and fingers on how to choose the right guitar based on your needs, style, and budget. How to Choose the Right Guitar? 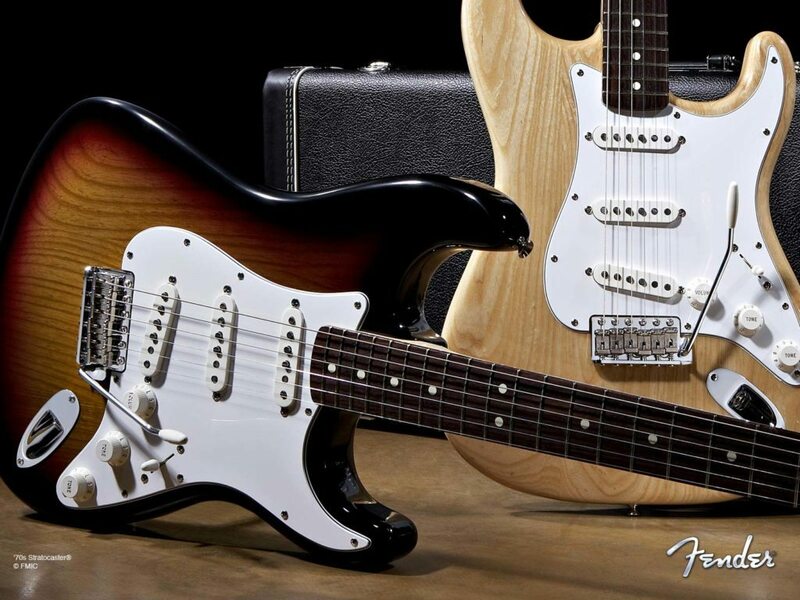 First things first: Which kind of guitar is for you? Before you go on a shopping spree and spend your dough on branded, expensive guitars and equipment (because it is just oh so tempting to do so), you need to know what kind of instrument you'll really need for daily practice. Knowing how to choose the right guitar is no joke: that baby will pretty much make or break your guitar-playing game. Not to put too much pressure on your string purchase. Your first instrument will determine how effectively you will be able to practice and learn your first few songs, chords, techniques and styles. Depending on your choice, it can make your first few months (or years) a hard-earned joy, or an unnecessarily difficult and unnecessarily painful experience. Do you like the powerful, raw twangs of the electric guitar? Or do you want to keep it fresh and chill with the melodic rhythms from an acoustic? Do you enjoy listening to the creative and funky tunes of blues? The superb sounds of progressive rock? The unmistakable intensity of metal? You will have a less painful choice to make if you're set on the genre you love listening to. Why? What you groove (or headbang) to is most likely what you'll want to play with your guitar. You'll be motivated to practice and train more if you love what you're doing. Worried about the commitment after the purchase? You're not alone. Most beginners, regardless of age, feel hesitation when it comes to learning something new. There will always be someone better, someone who started earlier, and someone who improves faster. One important tidbit to live by: no one is born good at anything. Genetics, physical condition, or age does not influence how you'll master your newfound passion for guitar-playing. There is no such thing as innate talent. In short, it’s all pretty much an even field when it comes to the opportunity of being the top dog in, well, anything. That’s when deliberate practice comes in. But before you clock in your 10,000 hours (let's not get overwhelmed by the zeroes yet), let's go over your guitar options to help you decide which will be your partner in crime for the next, well, 10,000 hours. One of the biggest advantages of acoustic guitars is portability. You can take this baby anywhere, practice anytime, and all without any wires and amps and electricity. As a starter instrument, it's relatively cheaper than standard electrics and are a lot easier on those newbie fingers. You have two options with acoustic guitars: nylon and steel strings. The first option is less abrasive to the fingers, and produce a more mellow, chill sound (which makes it easier on the neighbor's ears, too). Very John Williams. Steel strings on the other hand, have a more solid tune that sounds just as great, if you're looking to be the next Jason Mraz. While a lot may recommend nylon strings for your novice playing, it's not really about getting your callouses ready for steel. The two cannot be interchanged in the same guitar, so make sure that your decision is based on the sound that you prefer, and not for fear of nicks and ouchies. 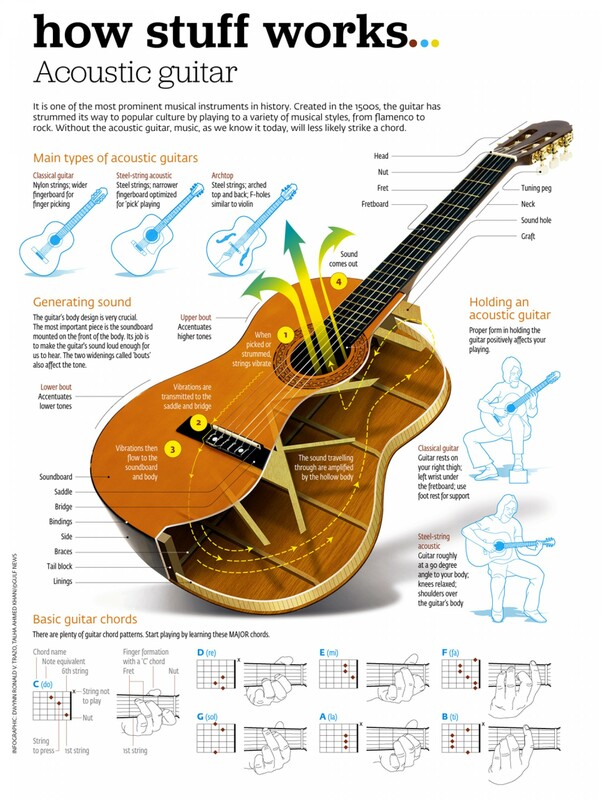 The body of a classical acoustic guitar The body of a classical acoustic guitar greatly influences its tone and volume. Larger guitars have a rounder sound that gives off major bass. Smaller pieces tend to highlight treble tones and sound somewhat brighter. Acoustic guitars are generally larger in size compared to electric ones, making it a more challenging option for the petite player. Don't let YOUR size discourage you from snatching a classical, though. With practice and some adjustment, you can master the instrument regardless of your stature. Price dictates the material of your guitar, so try not to skimp on the budget. Cheaper acoustic guitars have multi-layered wood with laminates to give off a “solid wood” look. If done well, it can look just as great as solid wood guitars. As a beginner you may not notice much difference, but solid wood guitars produce a more pleasing sound. But hey, if you're looking for a starter instrument that you can eventually upgrade, laminated tops won't be as bad. 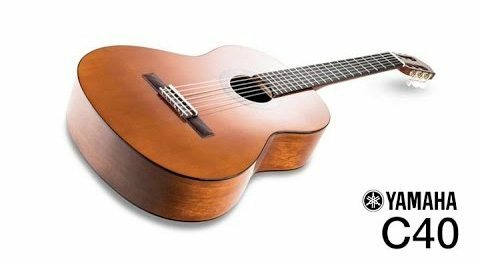 Built by a guitar institution, the Yamaha C40II is a perfect full-size nylon stringed piece for beginners. At around $140, you get a great sound without breaking the bank—and without breaking the guitar within the first few months. 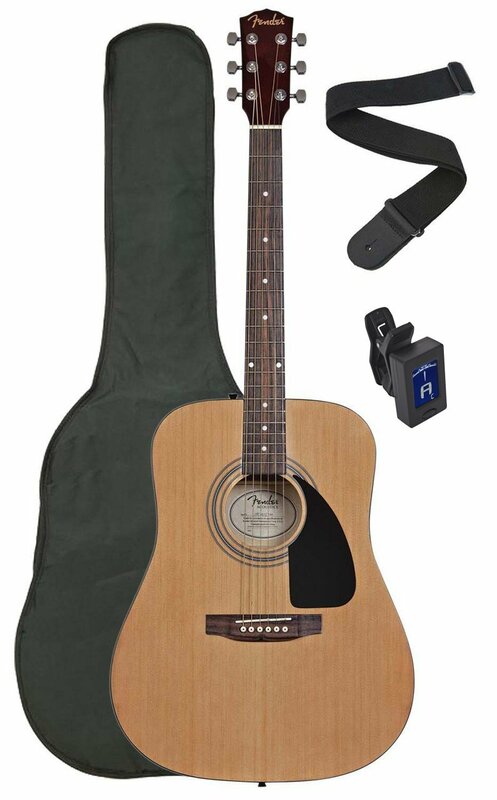 From the makers of great electric guitars, the Fender SA-100 Acoustic Guitar Pack comes with the rest of the family: a padded gig bag, a tuner, and a set of picks. Designed for beginners like you, it's a great value for $130. If you want to go right ahead and buy an electric guitar to start your journey towards being a rock god (or goddess), or if you've had some experience practicing on acoustic and would like to move on to other things, you're in for a whole lot of fun. All that fun comes with lots of prep work and equipment, though. Unlike their portable acoustic brothers and sisters, electrics require, well, electricity (otherwise, you can play as hard as you can and still hear next-to-nothing, muted sound). Cables and amplifiers will be your best friends should you go for electrics. They are also thinner and have smaller fretboards, which means you have to really invest time in working on your accuracy. The great thing about choosing to learn electric guitars is the wide variety of styles, and effects you can use to widen the variety of your instrument's sound. The possibilities are endless! Your moola will probably be the biggest deciding element, especially if you choose the right guitar that's an electric. They are considerably more expensive than the basic acoustic guitar, and require more equipment too. While there will always be cheaper options (that you may want to go for if you're unsure about whether you'll stick things out until the very end), remember that investing on a sturdy, quality instrument will not only last and stay in tune longer, it will also motivate you to practice if you get the kind that you find attractive, convenient to play, and sounds great. 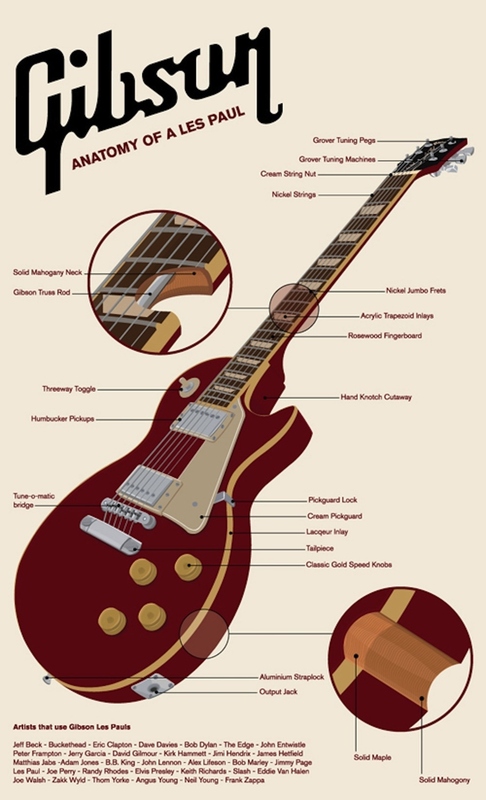 Electric guitars come in a variety of shapes, sizes, and styles. What will guide you to the right one is your favorite song. Or artist. Or genre. Hollow-body guitars have a rich bass sound and full-bodied tones, making them ideal for jazz players. Solid body electrics don't have as much resonance, but has a versatility that is perfect for beginners looking for an all-around instrument. Or get the best of both worlds with a semi-hollow—lesser feedback than hollow-bodies, and more resonance compared to the solid body. You can go from blues to punk rock without switching guitars. Pickups are responsible for the sound of your electric guitar. Depending on the type, there could be one, two, or three, and have controls that can manipulate the output of your instrument. The Les Paul has always been top of mind when it comes to electrics, and luckily, epiphone has one that's just fantastic for novice musicians. And with a price tag of $420, it may be a bit steep on the beginner's budget, but worth the investment. This entry-level guitar from the legendary manufacturer Fender has great sound and a classic look for $500. Considering the brand, versatility, and sturdiness of the piece, it's a pretty good price. 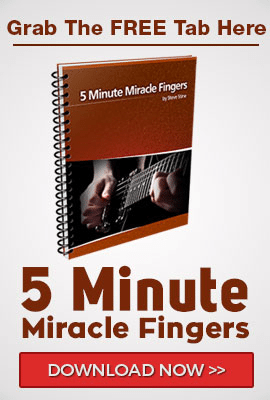 A great investment for those who are serious about having fun with guitar-playing. Hey, not all of us can afford a spanking brand-new instrument, and that's okay. Purchasing a much-loved guitar is a great way to save some dough and allow you to get through the beginning phase of learning the guitar without having to sell your firstborn spend a lot. Stick to the branded guitars, if you can. If your eyes are not as trained to look guitars over, the trademark quality of well-known, authentic pieces will be your ace in the hole. Check the neck if it's sturdy. Those that are bent way more than usual will require a lot of fix up, and may not be worth it in the end. Be wary of supposed quality used guitars that are too cheap. The sound of a well-maintained guitar wouldn't change over time, and its value won't be too far from its original price. If the bargain is too good to be true, it usually is. Never buy a guitar that you have not seen in person. Yes, yes, it's convenient to buy online, but you will have to closely inspect the instrument yourself, and you have to make sure that you feel comfortable holding the guitar. Ready to rock? We at Guitar Zoom are absolutely excited for you! Whether you purchase a brand new guitar, or a well-used second hand, what's important is your passion for learning the instrument and loving your new partner in crime! Do check out our great online courses, read through out awesome how-tos and guitar wisdom posts, and sign up for more invaluable resources and tips on how you can make your learning experience all the more fun and fruitful. Happy playing!